Facing DUI charges is particularly nerve-wracking because certain restrictions will be imposed on the driver immediately. One thing you have to remember is that the charges aren’t the same as being found guilty. An experienced lawyer could negate these charges and dismiss them altogether. Arizona drivers who are charged with DUI will get their license taken away during the police stop itself. This, however, doesn’t mean that they don’t have the right to drive until their court date. Temporary driving permits can be used for the purpose. What are Temporary Driving Permits? 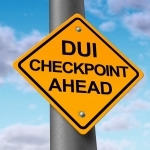 During the DUI check, the officer may take the driver’s license and provide them with an Implied Consent form. Upon the reception of this document, you will have 15 days to request a hearing. The Implied Consent form has a yellow and a pink copy. The back of the yellow copy features a temporary driving permit. 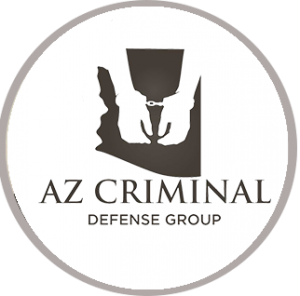 The hearing is an administrative one and it is held by the Arizona Motor Vehicle Department. This hearing will take place before the end of the criminal proceedings. It will allow a driver to use their automobile until the court trial is scheduled. The temporary driving permit can be used in the 15 days leading to the administrative hearing date and beyond. Once the criminal investigation is completed, the person will either have their license suspended (when they’re found guilty of DUI) or they will get the license back (when the charges are dismissed or the person is innocent). A person that refuses to do a blood alcohol test following the DUI stop will have their license suspended altogether. Also, at the stop, you can choose between a breathalyzer and a blood test. If you opt for a blood test, you may have to wait some time to get the Implied Consent form. Blood tests don’t produce immediate results. Thus, you will have to wait and the form will be sent to you via mail together with the temporary driving permit. People who are found guilty of committing DUI will get their license suspended after the end of the 15-day grace period. 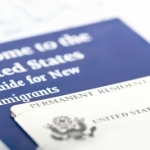 Initially, a license suspension will occur via a civil procedure. Following the criminal court conviction, the state will be given a second opportunity to have the license suspended, if the driver has managed to regain their privileges in the meantime. A person that refuses to take a blood alcohol test will face a longer license suspension than the person that’s found guilty of DUI. This is something to keep in mind when deciding how to handle the procedure and whether to cooperate with the police officers. License suspension will occur through the Arizona Motor Vehicle Department. 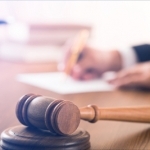 If a hearing isn’t requested within the 15 days following the provision of the Implied Consent form, a 90-day license suspension will be initiated automatically. This suspension is going to remain in place, regardless of the outcome of the criminal proceedings. 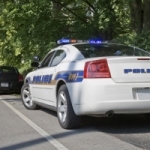 Thus, as a driver, you will have to deal with both administrative and criminal procedures. An administrative hearing is separate from the criminal trial. It provides an opportunity for regaining temporary driving rights. The court trial could occur several months down the line, which is why having temporary driving rights will be important. A first-time offender can get some benefits during the 90-day suspension period. After the first 30 days are over, the driver may be entitled to a limited license. This limited license can be used to go to work and back home via a car. Following the initial suspension period, repeat-offenders will get a license revocation of at least one year. 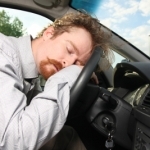 It is advisable to consult an experienced DUI lawyer when facing DUI charges.